Charlie Bears Hatfield Discounts Apply ! Hatfield the Hippo by Charlie Bears . 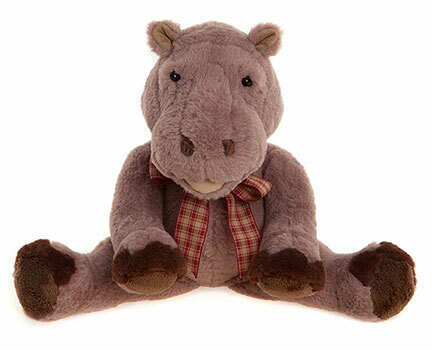 Hatfield the Hippo is made of a machine washable Soft Brown plush, this traditional looking Hippo is suitable from 18 months and wears a brown and cream checked bow around his neck. This Plush Charlie bear Hippo is a perfect gift for all ages . This beautiful Hatfield the Hippo is Non jointed and hand finished and Machine Washable and Suitable for persons Over 18 Months.